Element names in different languages are not always the same. For example, if you ask for a radio in the United States, you can listen to music. 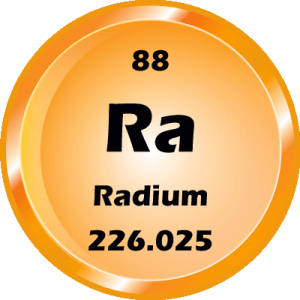 In Spanish, you’ll get radium. Although the International Union of Pure and Applied Chemistry (IUPAC) has a standard periodic table and list of chemical elements, the names and symbols you see on your periodic table often depend on which language you speak and country you live in. Here’s a table of element names in different language, so you can compare them. The languages I have so far are English, French, German, Italian, Portuguese, and Spanish. I’m happy to add more language if you supply the names! Periodic tables on this site are presently available in English, French, German, and Spanish. Again, I’m happy to work with you to make them in your language, in any style. The element names are given in alphabetical order, based on the English names. Note, element names are always capitalized in German. *In American English, element number 13 is aluminum, while most other English-speaking countries use the aluminium spelling. Why Are Elements Named Differently? Elements got different names because multiple civilizations were aware of them and had names long before an international periodic table was developed. Some elements have been known for thousands of years, so the names evolved over time. Other times, names are different because of phonemic constraints (how you can pronounce a spelling in a language). Also, the discovery of some elements was contested. More recently discovered elements tend to only have one name because naming now follows IUPAC guidelines. If you see an error, please let me know! I researched the names and spellings, but am aware there is some dispute over certain names. The English is American English — let me know if your English is different from mine. Feel free to post a comment if you have an alternate name/spelling to propose in your language. John Emsley. Nature’s Building Blocks: An A-Z Guide to the Elements. Oxford: Oxford University Press, 2003.